Very practical: the residual heat indicator reminds you not to touch the cooking zones when they are still hot. Absolutely safe. 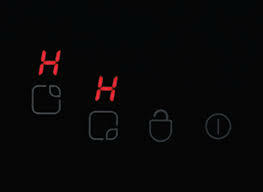 Miele hobs have a residual heat indicator for every cooking zone. It reminds you not to touch a hot cooking zone or to place any heat-sensitive items on it. Also, it enables you to use the residual heat in order to save energy. A clever feature! if a zone has been operating on the same power level for an unusually long time, it switches off automatically. Peace of mind. A maximum operating duration is defined for each power level. If a cooking zone is operated for an unusually long time at the same power level, it switches off automatically. Extremely useful: both functions prevent accidental or unauthorised switching on of the hob. Safety for all. The safety lock function prevents inadvertent changes to the chosen power levels during cooking. The system lock protects from accidental or unauthorised switching on, by children, for example. This function can be activated on a hob that is switched off. Protects the hob: The hob automatically switches off in the case of extreme heat. To ensure the appliance has a long service life Every cooking zone is equipped with overheating protection. This automatically switches off the heating element of the cooking zone in case of extreme use before the ceramic glass or other components can overheat. If liquid or another item gets onto the surface by mistake, the hob automatically switches off as well. So you are always protected from unintentional power adjustment. 1. The focal point of the home. Hobs are the focal point of the kitchen, whether on an island or integrated into a run of units. Self-contained hobs Most Miele hobs have their own controls and can be installed independently of an oven. This enables the space underneath the hob to be used for drawers or cupboards. This allows you versatility when planning your kitchen. 2. Visibility. Electric designs. The traditional. The cooking zones are heated by a heating element underneath the ceramic glass. This is visible by the red glow of the cooking zone. 3. Different sizes. The right size for every kitchen. Do you like cooking with just a few pans or do you enjoy conjuring up lavish meals with lots of pots and pans? However consuming your love of cooking may be, Miele hobs offer you sufficient space! 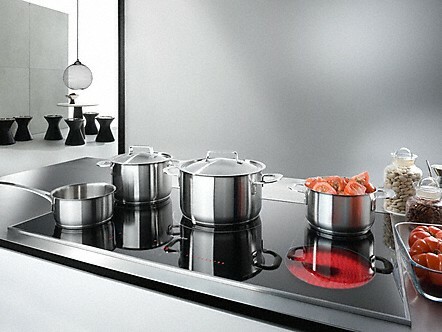 Miele offers the right hob for every cooking preference. 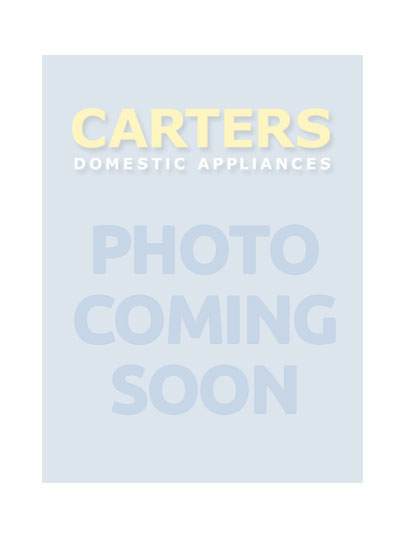 Classic60 cm wide space-saving appliances offer three or four cooking zones. Convenient75 cm wide appliances offer three to six cooking zones. Generous90 cm wide appliances offer three to five cooking zones. 4. Frame design. The right frame for your kitchen design. Miele hobs offer you an attractive range of designs - in glass and stainless steel. 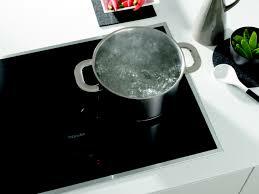 Electric Hobs-Ceramic glass with all-round stainless-steel frame. The ceramic glass of the hob is protected on all sides by a high-end stainless-steel frame. Various frame designs are available to choose from. These can be perfectly and seamlessly integrated into the worktop. These hobs have no sharp corners or edges. Alternatively an Electric Hob with a bevelled glass edge is an attractive alternative. Have fun in looking through or web pages! 5. User interfaces. Miele controls make cooking easy. Nothing should stand in the way of perfect cooking. Miele hobs are intuitive to operate and offer you many innovative design features. Whether using DirectSelection Plus, DirectSelection or EasyControl Plus, all operating systems on Miele hobs make cooking an uncomplicated pleasure. EasyControl Plus. Intuitive selection of any cooking zone using centrally located +/- controls. Particularly convenient: simple operation of cooking zones and the timer. DirectSelection. Cooking zones are controlled with a central numerical keybank. Power levels and times can be selected directly, quickly and intuitively. Particularly convenient: setting the timer is extremely easy. DirectSelection Plus. This allows you to select power levels and times quickly and intuitively. For each individual cooking zone there is a backlit numerical display. The numerical display is not visible when switched off - for a minimalist, elegant appearance. 6. Speed of the Miele hobs. Concentrated power boost for rapid heat-up times. Miele electric hobs not only offer the highest level of convenience and safety, they are also the fastest in the world. Thanks to the innovative ExtraSpeed technology, you can achieve your perfect result even faster. ExtraSpeed Miele electric hobs with ExtraSpeed are the fastest electric hobs in the world!. Thanks to innovative three-component technology exclusive to Miele, heating up with Miele ExtraSpeed gives you a time saving of up to 35%. This is achieved through intelligent timed sequencing, a higher heater rating and efficient temperature regulation.